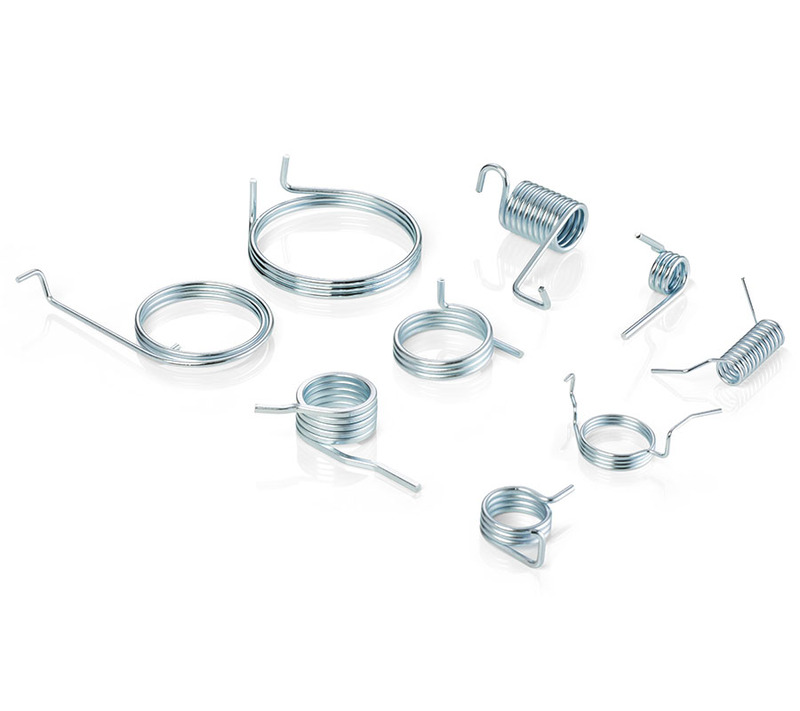 Leg springs (torsion springs) for a multitude of technical applications according to your drawings and specification or based on our spring design optimised to your requirements. Production with modern CNC automatic coiling machines and spring-specific optimisation allows for a great variety of geometrical designs. All leg springs are 100% tested on the shaped spring coiling machine (largely with laser or camera system).